When is Shipping via Enclosed Transport Worth the Extra Money? essentials that will safe you a lot of troubles. Wake up early on the moving day. Moving into a new home and a new city is exciting. But the actual moving process? Not so much. On top of being time consuming and a hassle, moving can be expensive, too. So take some time to plan ahead and save some cash with these tips for a money-saving move. From curbside to the inside, show your home at its best When you're ready to sell your home, make sure potential buyers see it at its best. Here are the top ways to fix up the appearance of your home without investing a lot of money. A little time and effort now will pay big dividends at closing. Landscaping Trim the grass and make sure all flowerbeds are freshly mulched and free of weeds. Prune overgrown shrubs, especially if they're hiding windows or blocking the entryway. Gutters and Fences Reinforce sagging gutters and straighten crooked fences. Make sure the gutters are cleared of obstructions and the soil isn't washed out around downspouts. A quick power washing will brighten fences. Driveway and Walkways Clear away clutter like bikes, tools and toys. Use weed killer on grass and weeds that sprout in pavement cracks. Keep edges neat with a weed eater or edger. Even with a clear idea of their own financial status -- what they can afford and how trustworthy they will appear to a lending institution -- many people fail to pay attention to the big picture. If you're anxious to buy now just because of your own financial situation or restrict yourself to a particular location, you may not see the forest for the trees. Going back to the room you had as a teenager will be a new experience for you now! Are you thinking about moving back in with your parents? Whether that is after college, a breakup, divorce, with a baby or a family, at the age of 30, 40 or any other age, because you want to save money, you don’t have a job, you want to take care of your elderly parents, or for any other reason, here you will find useful tips to help you take the decision to move and also help you cope once you have relocated back to your parents’ home. Moving back into your parents house may not be your biggest dream or wish right now, but even if it is something that you want very much, there are a few things to consider before the move; things that will make your relocation easier for everyone. Is moving back in with parents a good idea? Check out these 5 great tips on moving back into your parents’ house. Piano is among st the most valuable and additionally immoderate clarinet. In the event that you are getting ready for you to move this clarinet in an extremely unique spot or to an alternate making you'd require the administration of a learned single person. Since the apparatus is enormous in size it is fine as the name demonstrated. Tend not to manage this particular musical instrument as an antiquated piece of furniture. As various dangers are partaking while moving this sort of hardware you should not take the probability of contracting the assistance of an unskillful individual. Not you need to take the risk of moving your device all on your own. It isn't so easy to have the capacity to move these individuals about tires or to a lot of labor won't help you in however the. Piano Movers will unquestionably come to be as a flawless decision for moving your clarinet. Warm weather is great – you can take long walks, go jogging in the park, go sunbathing and swim in the water or an open pool… There are so many benefits of moving to a warmer climate, plus a few disadvantages. A move is stressful enough and when you add changing the environment and the climate, you get another aspect of your move to consider before relocating. That is why before moving to a warmer weather you should be aware of its most important pros and cons so that you can take an informed decision about your move. Automobile Relocation Services – A Broker or a Mover? Moving an automobile across country or locally is a task that takes some time to organize. Shipping your car is easy when you know what to do and when. Transporting a vehicle is a service that lots of Americans use today – whether you are moving and want to ship your auto with you, you are importing a car that is a unique make or you bought your automobile online and want to have it delivered to you, getting the automobile relocation services that you need is the answer. But how do you do it – by hiring a broker or by booking an auto moving company? What is the difference and what are the risks that these two carry? Let’s find out now! Choose a Broker or a Carrier to Move an Automobile? Figuring out the Best Movers for moving your office is a simple undertaking now. How hard is for you to move your work place? Gracious definitely, we provide for you the alternative of taking the assistance of the best assets you can Relocation your office is not a simple assignment as you won't have the capacity to do everything independent from anyone else r can't get the right sort of works to move the stuffs that you have got without losing them or harming them. You can attempt your level best in not harming your office effects however losing the records and other key things is certain to happen. Will you have the capacity to invest time with the individuals whom you employ for the entire day or until they wrap up all the stuffs securely. The act of moving from one place to another place will happen for a variety of reasons. Some move under strain while some move for a change. To relocate from one place to another place will ask for concert of different activities. 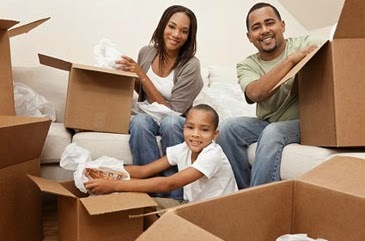 It means along with your relocation you will need your property to be moved in newer location. It is surely not possible for you to get all belongings along with your travel. Even if you do well then there is no promise that it will be transported in a safer mode and in a best condition. 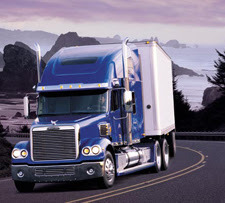 Hence to get your goods transmitted in a best state you must make sure to employ the service of professional movers.